In recognition of the 50th anniversary of Earth Day, Earth Day Network (EDN), the U.S. Department of State, and The Wilson Center are launching Earth Challenge 2020 (EC 2020) as the world’s largest ever coordinated citizen science campaign. 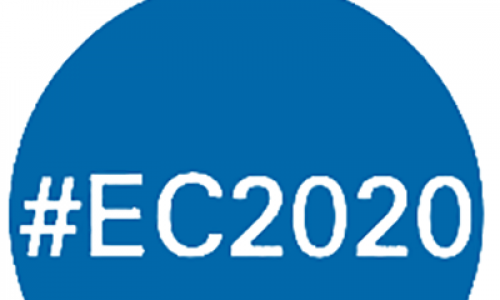 EC 2020 will collaborate with existing citizen science projects and build capacity for new activities as part of a larger effort to grow citizen science worldwide. Each research team should help leverage and bring together existing projects, data sets, and communities, while also identifying high value opportunities for new tools and other resources that can advance work in this area. Help meet a critical research need in environmental or/or human health. Represent an opportunity for citizen science to add significant value to traditional research approaches, and/or information from other sources like Earth observations. Align with opportunities for people to leverage the citizen science research process and data to drive change through education, empowerment, and/or action. EC2020 is now asking for help evaluating these suggestions and choosing concrete questions that will help achieve geographic diversity, global impact, strong partnerships with existing citizen science projects, and are feasible to answer through citizen science and related sources of information. EC2020 will be sending out additional materials soon, but in the meantime wanted to assess the availability of its partners to participate in a group listening/feedback session on Friday February 1, 2-3pm ET or Monday Feb 4th 9-10am ET. EC2020 is also happy to set up an individual time to talk in late January or early February, or receive written feedback either instead of, or in addition to, these calls. Please contact EarthChallenge2020@earthday.org to express your preference on how you want to give your feedback. For more information about Earth Challenge 2020, please see this web page on the Earth Day Network website.